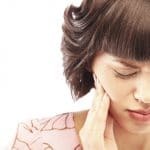 If you have any of these symptoms, it is possible that you could be suffering from TMJ Disorder. So what should you do about it? Anytime you are in persistent pain or notice changes to your body that you are concerned about, you should see a health care professional. 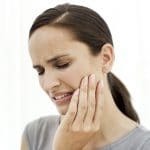 When it comes to TMJ Disorder, getting a diagnosis means visiting our office (LA dentist) is the first step in the treatment of temporomandibular joint disorders. 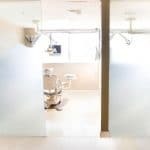 Our dental team will conduct a physical exam to evaluate your jaw’s range of motion and listen to the sounds your jaw makes when opening and closing. 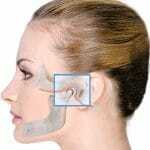 You will also be checked for tender areas around the jaw. 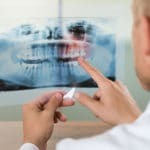 In some cases, diagnostic imaging, such as dental x-rays, may be necessary to confirm a diagnosis and rule out any other conditions that could be contributing to your discomfort. 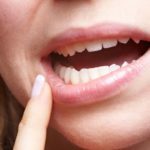 Based on the results of your exam, we will determine if TMJ Disorder is present, and the course of treatment to alleviate your symptoms. 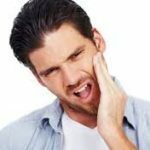 If you think you might be suffering from the temporomandibular joint disorder, don’t wait to get the help you need. 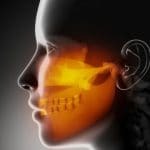 TMJ Disorder symptoms can worsen over time, making them more difficult to treat. 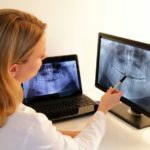 Contact our team to schedule an appointment with an LA TMJ dentist and begin the path to a pain-free lifestyle. Disclaimer: Every patient’s case is different, and needs to be properly diagnosed and treated by a healthcare professional. 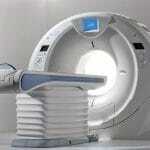 Please see your healthcare professional or contact us for an appointment. 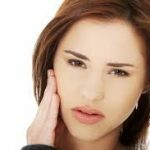 What to consider when visiting a TMJ dentist? 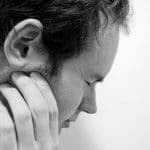 Who should seek TMJ Treatment?